Asian flavors are offer a mosaic of sweet, sour, salty and heat. However, the art of achieving these authentic balances can be illusive and quite expensive. Many sauces contain a long list of unfamiliar ingredients that send the shopper on a super market scavenger hunt, making the entire experience intimidating even for the most ambitious culinarian. This is unfortunate because these savory dishes allow for the incorporation of unique tastes, colors and textures as well as nutrient dense foods. This recipe, and the other Asian inspired sauces found on this site, provide a traditional culinary experience without preservatives or many exotic ingredients. The salt content in this recipe is very high and if you have hypertension you may want to reconsider depending on your previous sodium intake during the day. However, the combined ingredients make more sauce then is required for each serving. Depending on the amount of sauce used to marinate the seafood the actual sodium intake will be much lower then the nutrition facts state. 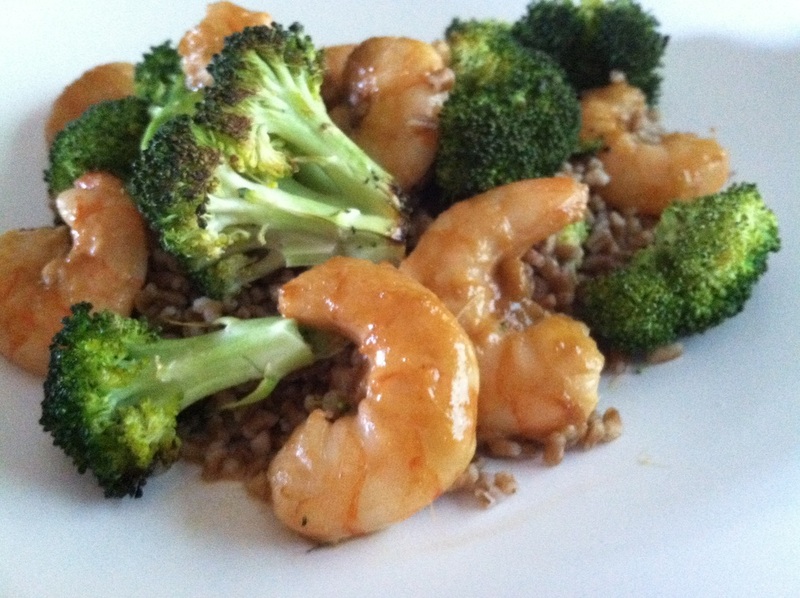 In this particular meal shrimp, trout or salmon is recommended but can be substituted for any seafood you have on hand. Add roasted vegetables and a whole grain or potato for a flavorful and disease fighting meal. Directions: Combined all ingredients into the blender, except for the seafood, and puree. Put the seafood into a large zip lock baggie and poor 1/2 cup of the sauce onto the bag. Set the access off to the side. Put the bag with the shrimp in the refrigerator for at least 30 minutes. Set inside a clean mixing bowl to catch any spillage. Preheat the oven to 350 degrees. When the oven reaches temperature place the marinated seafood on the parchment lined baking sheet. Bake for 10-25 minutes depending on the type of seafood and the thickness. Half way through baking glaze the seafood with the leftover sauce. When finished cooking brush one more layer of sauce on the seafood before plating. Use the remaining sauce for dipping if desired. Serve with a roasted vegetable and a starch for a complete and balanced meal. Starches can include potatoes, corn or whole grains such as brown rice and wheat berries. See the roasted vegetable instructions on the Rx Meals home page for ideas and use the packages instructions for the whole grain options. If you are not familiar with whole grains visit the Whole Grain Description page under the Farmacy tab.